Dailies didn’t start out to be so bad. I mean, they result in multiple things needed in game…namely Reputation, Valor Points, Gold and Motes of Harmony. So all in all, doing them isn’t a total waste of time. It may not be the fun thing that I would like to be doing, but it has its purpose. So I keep trudging on. What else is there to do? Farming ore to prospect, fish for a couple hours…Oh, level alts…which I ended up doing. 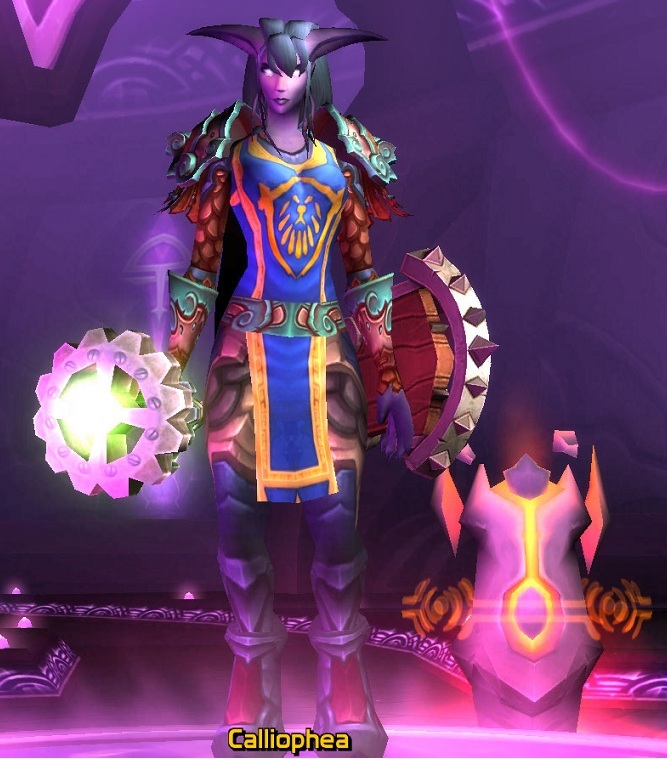 When dailies get on my nerves or I think too much about having to farm Heroics for Valor once I have rep to Revered or Exalted with the factions…I jump over on my Draenei Resto Shaman and quest or run a few normal randoms. Something a little more mellow I guess is what I need once in a while. Less people crowded over quest givers…less traffic in the quest areas. 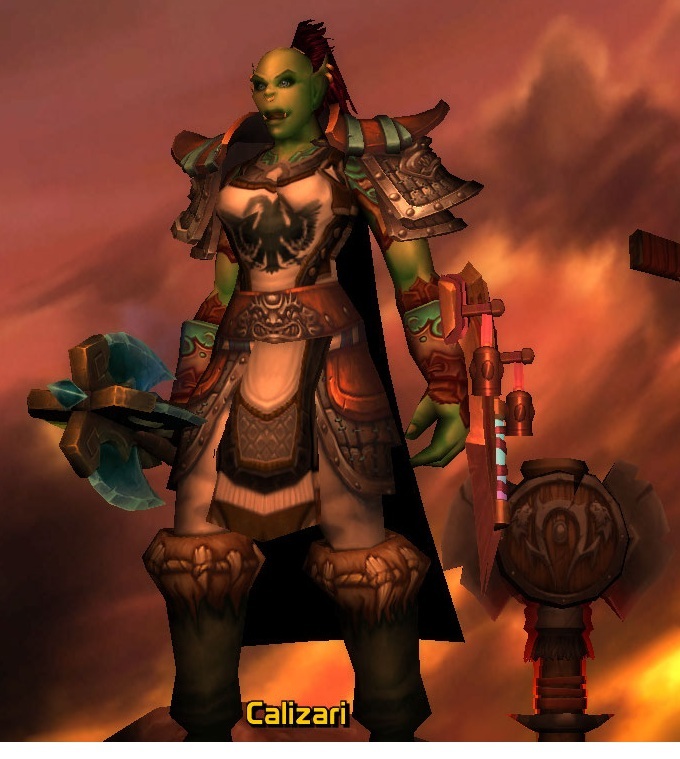 She leveled so fast with Heirlooms it was ridiculous…so much so that she was broke (after flying training) once she hit 85 and had to take up fishing to put gold in her bags. 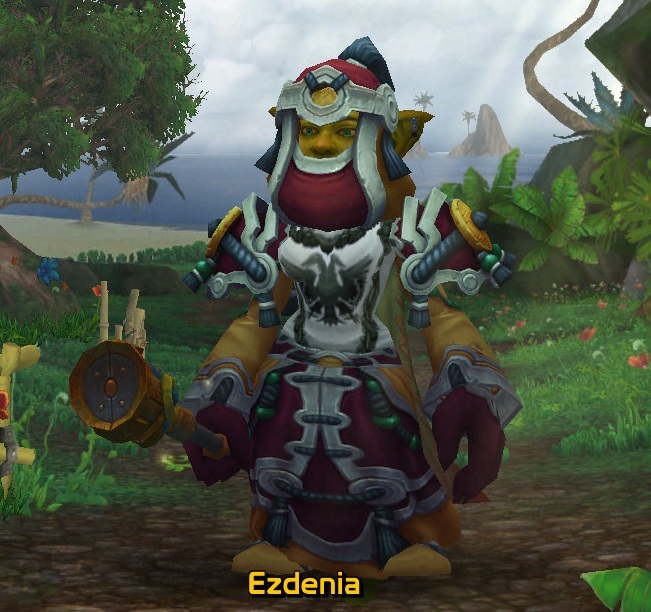 So this is what I work on when I get tired of rep dailies……..
Then there is Ezdenia…she wasn’t forgotten. I worked to get her to 90 this past week too! She does have Tailoring and Enchanting after all…so she needs to work on some of the rep stuff asap…getting the new bag recipe is top priority! Not too bad for a cranky, arthritic Grandma with nothing else to do between doctors appointments huh? Hope you are all having fun as much as I have been. Who knows what I can get done by this time next week. This entry was posted in Alliance, Horde, Mists of Pandaria, PvE, rheumatoid arthritis, Shaman, World of Warcraft and tagged horde, Mists of Pandaria, resto shaman, rheumatoid arthritis, world of warcraft. Bookmark the permalink.